The day after I found and purchased a book by Lauren de Laurence, I walked into Bookworks in Lakeview, only to find this astonishing gem. It's huge, beautiful and at $275, much more than I can justify spending right now. So if you're in the market, drop in to Bookworks. 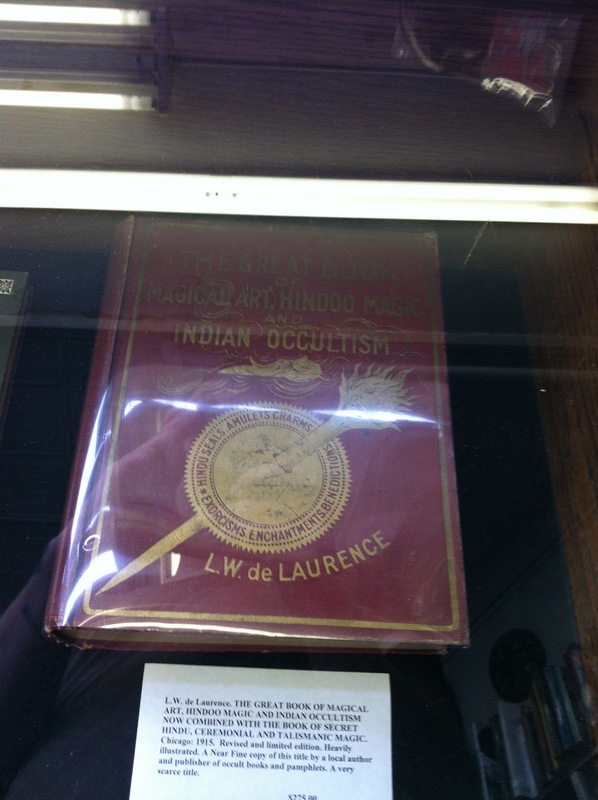 It's in the glass case near the rare books and first printings. For more about Lauren de Laurence in Chicago, click the label of his name at the bottom of this post. Read this book a lot in the early 1970's. Beware of occult knowledge. Ignorance is even more dangerous.